We get inquiries about how the name of our company came about. It comes from the red painted outside well pump at the grandparents' home of the company's owner. When the house was sold, he moved the pump from that location to his home. 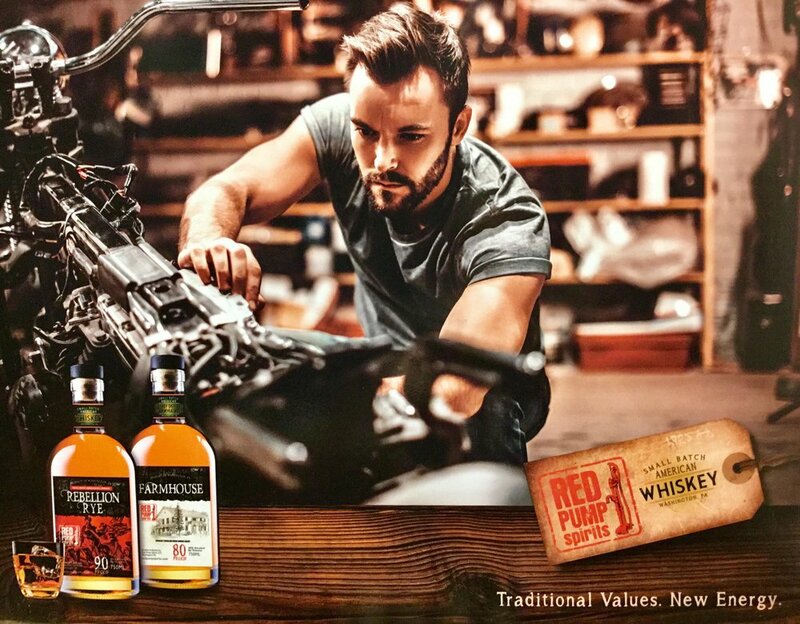 The pump now has a new and fitting home in the Tasting Room of Red Pump Spirits Distilled Spirits Plant at 32 N Main Street in Washington, PA - Where the Whiskey Trail Begins! The house where the red pump was located was known as the Farmhouse by the town's inhabitants. It is a historical house that dates back to the early nineteenth century. Originally, it was a farmhouse and the residence of Judge J.C. Hart - a prominent resident of this area. 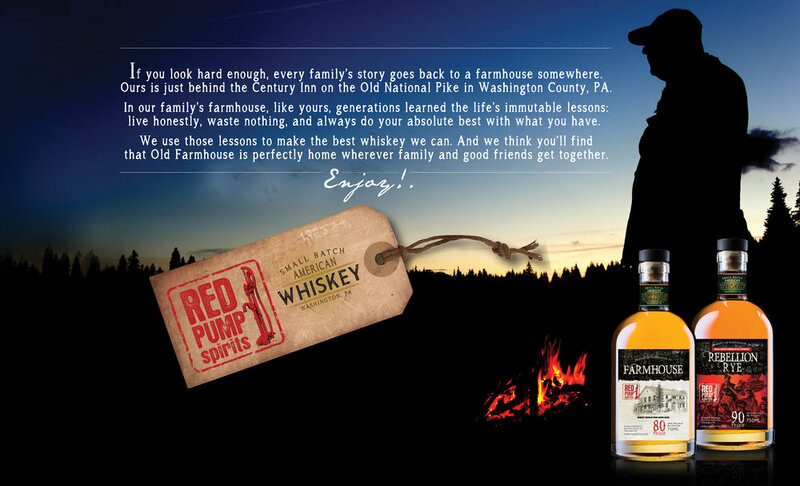 You will find a picture of the house proudly placed on the label of our Farmhouse Whiskey. A larger framed picture of the Farmhouse hangs on the wall of our Tasting Room. At Red Pump Spirits, we are honored to be part of a vibrant local community. That is why we believe in supporting our local farmers. Our organic grains come from Weatherbury Farms in Avella and our mash is passed along to the heritage livestock at Ross Farms in Eighty-Four PA. And the tags on our bottles? Tied with yarn that was supplied from their sheep.